Finally on the Ambulance in San Fran! So I guess this is the bit you are waiting for eh? Well get comfy, because this is the longest one so far! As most of you know, on my station I either work alone in the rapid response car or on an ambulance with an Emergency Care Support Worker. Either way, I am always the lead clinician on scene with my patient. I decide what happens to them, what treatment I give, how they will be managed and ultimately where I will send them for definitive care (if that is so required). This was going to be the first time in a looooong time that I didn’t have any say or any influence. Maybe it’s just a control thing, but I wondered if I would find it hard to not ‘much in’ and lend a hand! We arrived at the depot nice and early. After finding a parking spot, we walked through the ranks of ambulances and went inside to meet the supervisors who would allocate us a vehicle and tell us who we would be working with for the shift. We went out to look for Medic99 in amongst all of the vehicles. When we eventually found it, Justin opened the back doors and I jumped in. “It was like going back in time 10 years”. When I started in the Ambulance service 10 years ago, for some reason, the North East Ambulance Service were running Chevy G30 ambulances and Chevy Suburban Ambulances. The back of Medic99 was identical to the back of the vehicles that I had worked in up until about 7 years ago. It was like taking a small step back in time. All of the cupboards were in the same place, the stretcher (manual lift!!) was similar to the one that I had used (though with a very cool trick up its sleeve) and all of the bags and equipment were pushed into the various nooks and cranny’s that I had remembered. It seemed to be an ‘older’ ambulance, but I am not sure of how old as I didn’t get to figure the number plates out or ask Justin or Jim. There was a walkthrough to the cab, which we never had on our vehicles, and a couple of benches with a large and varied amount of soft items stored on. The ‘Captains’ chair was in the same spot and there was a long bench seat sitting opposite to the stretcher. I had forgotten how low the stretcher was once it was on the floor of the saloon. Everything just seemed out dated and old. Maybe it is because we have been spoilt, or maybe it is because the European Union has dictated so much about how our Ambulances are designed and laid out, but our ambulances, even the older ones, seem to be better laid out and ‘nicer’ to work in. But most importantly……NO TAIL LIFT on Medic99! So was it really that bad? I thought so at that moment in time……..But more on that later. What was interesting to me were the two sets of very large headphones, with Mic, hanging from the roof of the cab. Justin explained that when they were on the way to a job, they put these on to protect their ears, and also so they could talk to each other easily and also with control. That was handy to see, especially after I got home and a memo came out telling us that we have to use our sirens constantly, day or night, whenever we have our blue lights on. As we headed off I asked about their breaks and how often they get back to station. The look of surprise on Justin’s and Jims face was a picture! And that was before I told them that we HAVE to be stood down for two 30 minute meal breaks on our own station in a 12 hour shift and within certain time bandings. Once we are stood down, we cannot be disturbed from our meal break, unless there is a Major Incident. COMPLETELY different from that of the SFFD medic! However, I am not sure that I would mind that much if I had the amazing choice of places to eat in such a small geographical area that I found in San Francisco. It wasn’t long before we had our first call of the day, to a Chest pain patient in the street. Code 3 (i.e. lights and sirens), so off we went. We didn’t have far to travel from out post, so we were there well within the required time. As we approached the scene, I got to see the Fire Engine in the distance with its lights flashing. The crew were gathered around the back of the vehicle as the patient was sitting on the back step of the appliance. One of the crew (I guess an EMT or a Paramedic) had done a very quick once over and handed over what he had gleamed to Justin. Justin quickly took over the care of the patient and moved him to the back of the Ambulance, thereby allowing the engine crew to clear and hopefully get back to their Fire House. Once in the back of the ambulance, Justin gave the patient another quick once over then told Jim to just head off to the hospital. The full assessment was done on the move, including the cannulation and ECG. It was all very slick and very efficient, but I did ask Justin afterwards why the need to do everything on the go. I would usually have stayed on scene for a bit longer and done everything whilst stationary, rather than risk it in the back of a moving vehicle. Obviously things change for a time critical job, but at the time, I would have taken more time to get the full assessment done before deciding on what I was going to do with the patient (including if he needed to go to the A&E) It could well just be a preference in the way we work, but I was curious to find out more. On reflection though, I think alot of it has to do with the fact that the only end disposition that Justin has is for a trip to hospital for the patient or a refusal of treatment. Once the patient shows the intent that they want to go to a hospital, then Justin is legally bound to take the patient to the hospital. In my case, where I have so many other options available to me, including ‘you are fine, you don’t need to go’, then what would be the point of doing everything en route to a hospital. I guess if you are going to be travelling to hospital, no matter what you think, then why not just do everything on the go? What also become very evident over the next few days is that I obviously stay on scene a little more because I am by myself in the back of the ambulance the VAST majority of time, so I like to get things done with the assistance of the member of staff driving the vehicle. In Justin’s case, he has so many different people he can utilise when on scene, especially when an engine crew is there, that the vast majority of things are already done or in the process of being done, and the focus then seems to be on a swift on scene time. Not necessarily a bad thing, just a different way of working. When I read what Justin has to say about his time over here (which will follow on from my series about SF), I wonder if he will state that he felt as though I was too slow or ‘stayed and played’ too long? Our patient was the classical ‘regular caller’. He appeared to know his condition intimately well and gave a full cardiac history, with every magic word used. He was obviously a member of the transient population and Justin has a bank of questions that he slips in to see if his patients are from the city originally or if they have travelled there from elsewhere in the State or Country. The interventions and the treatment options were very much the same as I have available to me in the UK; in that respect nothing was different. In the majority of the cases that I was able to observe the phrase ‘same patient, different country’ kept on cropping up. Justin captured all of the data from the job onto his electronic patient record (a tough book computer) en route to the A&E department which was then attached to the printer at the hospital and a paper record printed off to keep with the patients’ notes. We have been waiting for the electronic patient report form, for the last 5 years in NEAS. Some Ambulance Trusts in the country have them already, but we want them to integrate with out Pathways triage and treatment tool that is used in our control room. Hopefully we will get them sometime in the next couple of years, as what I saw, seemed to be pretty good and fairly quick to complete. In The UK, we only radio ahead if we are taking in a critical patient to the A&E department, or a patient that we feel requires the services of the Trauma team. Even then, we can only radio our control room, and then they contact the hospital on the red ‘bat phone’. I would love to be able to radio directly to the A&E, so that they can ask us any questions that they may need to know to ensure an appropriate response. That won’t happen here though, as once we radio through our control, there is a record of the message so that if anything happens after the fact, then we can access the radio (and phone call) message and see exactly what was said. Once we got to the hospital we waited in a queue of 3 patients to handover to the hospital nurse and the Ambulance Triage station. 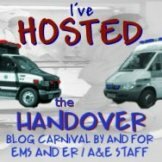 A quick handover was given, where it became apparent that our patient was a very well known gentleman by both the other Ambulance crews waiting as well as the nurses and doctors in the department. The nurse took a full set of observations again, before pointing Justin in the direction of the treatment area that he was going to. The nurse was very pleasant and professional. There was no query as to why he was at the hospital again, no remarks about ‘time wasting’ and ‘abuse of the system’. She was generally really quite friendly with him. Justin then replied that it was more likely to do with the fact that the nurse was probably just burned out after years of abuse and has probably realised that it is less hard work to fight the system abusers than try to change their perceptions of their entitlements for health care, whether insured on not. It’s often easier to just smile!! I said hello to various members of staff, and one of the Attendings came over to say hello, as he had read about our trip and had been looking out for me, which was really nice! We went outside to have a chat with some of the other guys, before we jumped into the Ambulance again and headed off to another standby point somewhere in the wonderful city of San Francisco. We sat in the Ambulance chatting and doing a little bit of filming and taking pictures, whilst we were waiting for the next job. We didn’t have to wait long, and this time it was going to be a job that really surprised me with the impact it had on me………. « Is this what you want? I had a feeling that video would surface. Very Nice post Mark, take your time and keep them coming. The video was great! Justin sounds just like me, but I don't think I'd use the “failure to thrive” as a chief complaint, that would raise to many questions. On the other hand I do have this one patient…..
“I would love to be able to radio directly to the A&E, so that they can ask us any questions that they may need to know to ensure an appropriate response. That won’t happen here though, as once we radio through our control, there is a record of the message so that if anything happens after the fact, then we can access the radio (and phone call) message and see exactly what was said.”In many places in the US (not mine, unfortunately), Justin's radio report would have been recorded as well. For example, in Massachusetts, Justin would call the county “CMED” first, they would establish the connection to the hospital he requests, Justin would switch to the assigned channel, and when the hospital answers, he gives his report. And the whole thing is recorded by CMED. We use cellphones where I work. No recording, no record that the call even took place except for the EMS service's phone bill. I'm not a fan. Justin's 'report' was just perfect!!! One of my small joys in dispatch is listening to telephone/radio patches to the hospital, and if I heard a patch like Justin's I would have a great big smile on my face. In my Dispatch Centre all Telephone & Radio patches are recorded for many reasons … actually everything is recorded. There is NO privacy in a Dispatch Centre. Great post Mark, I can't wait for more, keep them coming. Contacting the ER always sounds like a good idea untill they expect it of you all the time, even for the BS runs or when your hands are full and cant reach the cell phone. Keep it Happy Ronnie and nothing can go wrong! If they're smiling when you arrive, all is good, right?